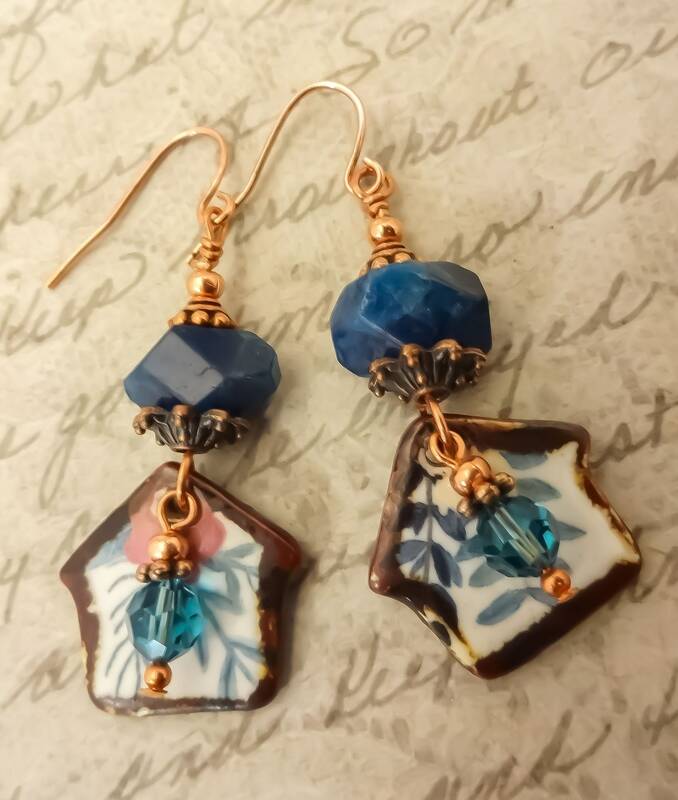 Sweet little ceramic house charms dangle from a Blue Apatite nugget. 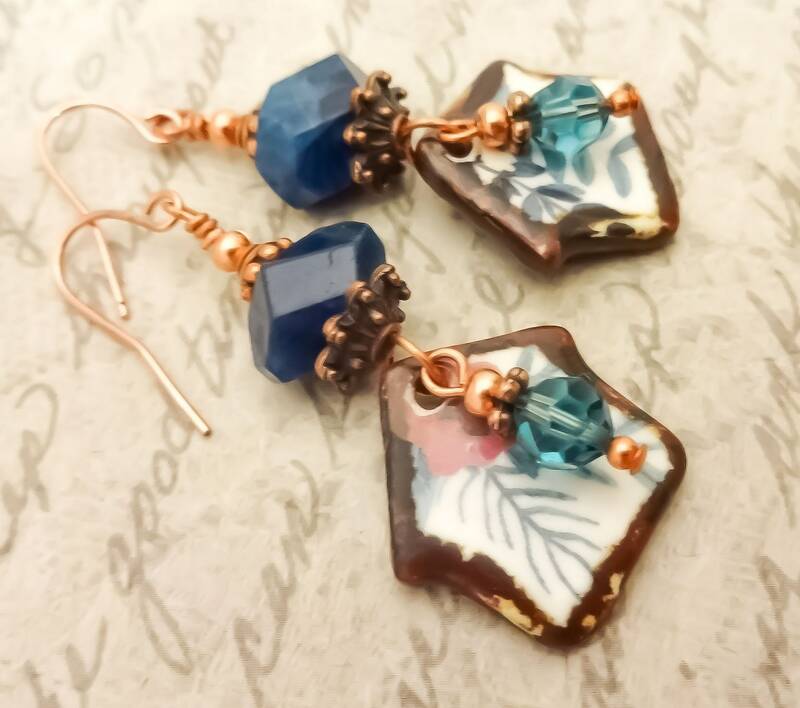 The charms were made by an Etsy artisan from Port William, Scotland, and feature blue leaves and a rose colored flower. 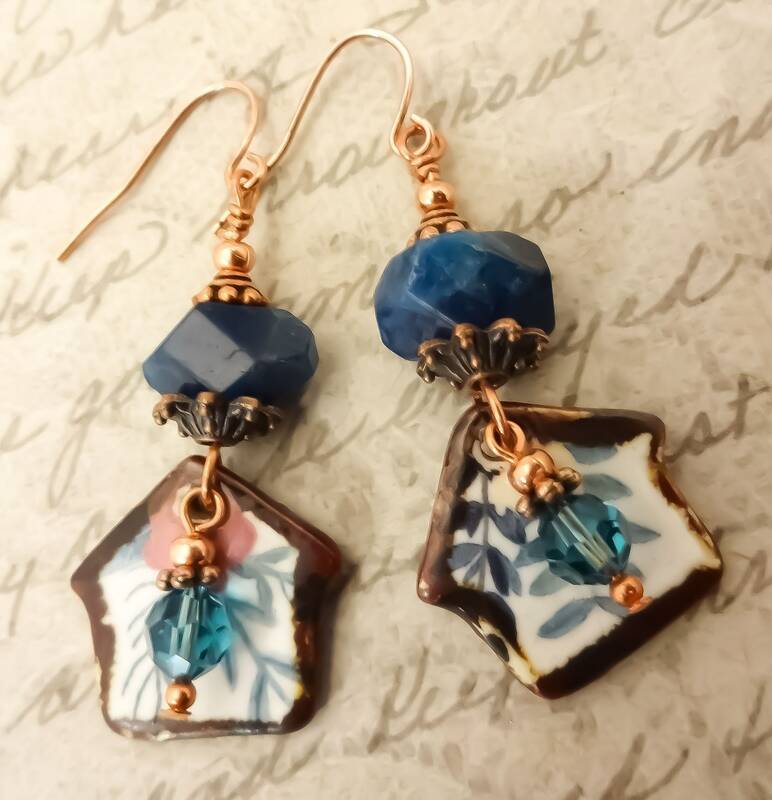 The sides and back are a rustic brown. 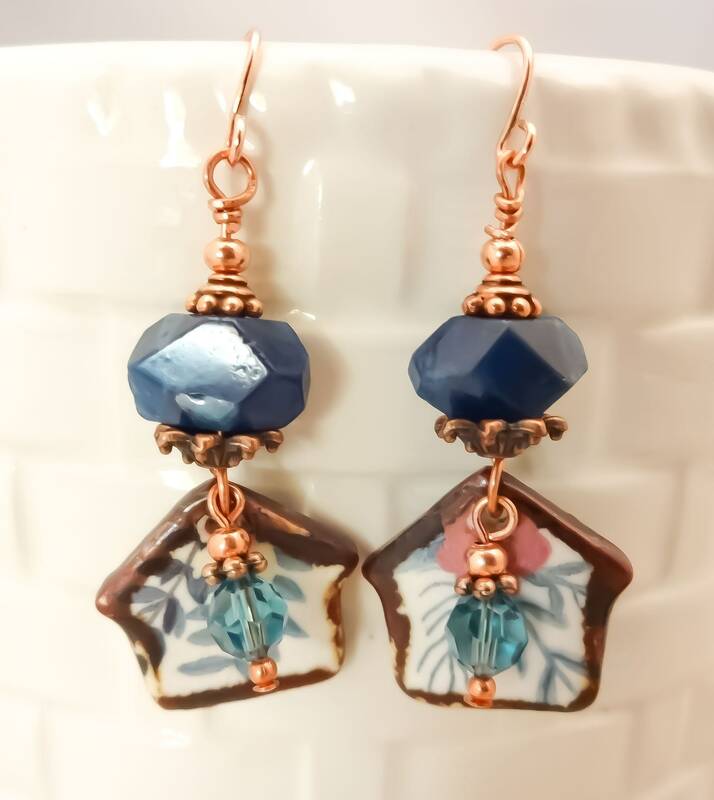 I paired the charms with medium sized faceted nuggets of my favorite Blue Apatite nestled in an antique copper bead cap. A shiny copy spacer bead and daisy spacer sit on top of the nugget. 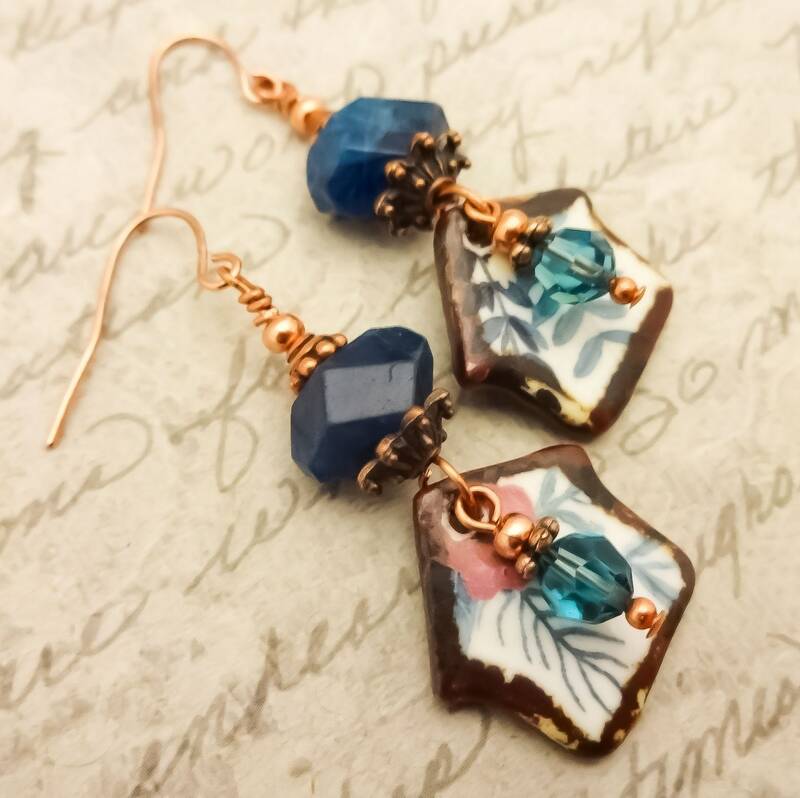 Dangling in front of the house charms is a round faceted Swarovski crystal in Indicolite with copper spacer beads and copper wire. 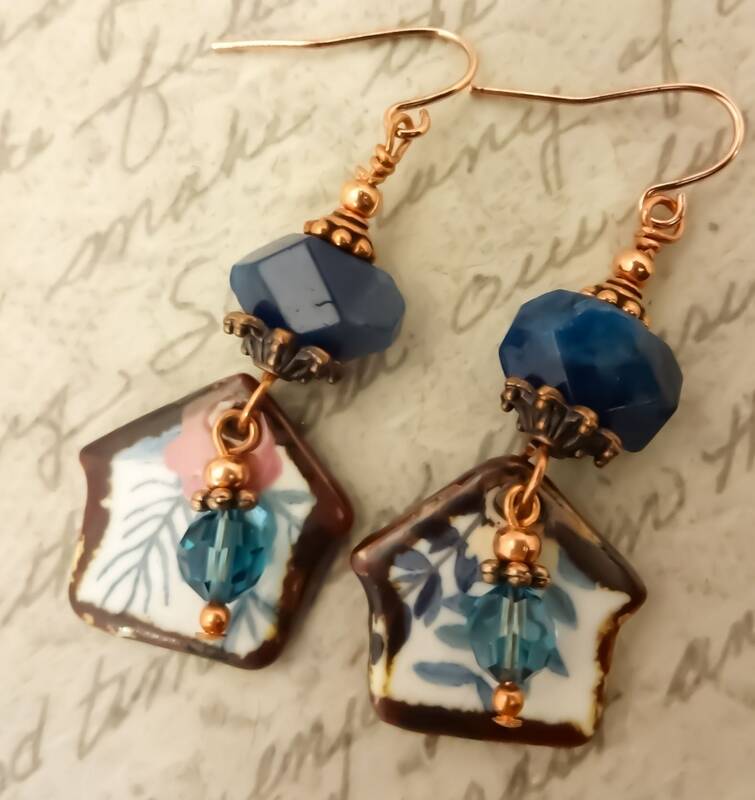 The earrings are shown with Copper French Hook ear wires. 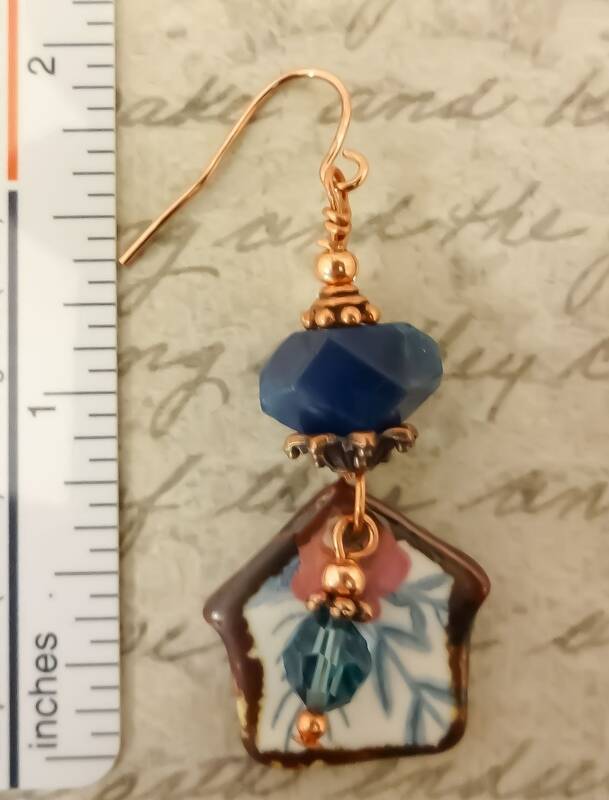 I have other types of ear wires if you prefer a leverback style or post, and I also have other metals - Sterling Silver, 14k Gold Fill or Surgical Steel. Just send me a message and I can change out the ear wires for a small fee. 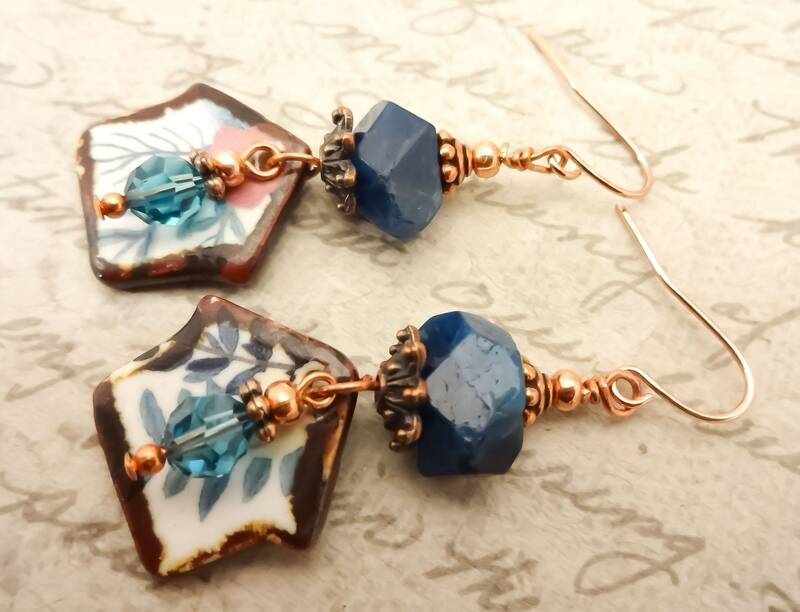 These earrings measure 2 inches from the top of the ear wires to the bottom of the charms.